Divya Jyoti Jagrati Sansthan (DJJS) - a non-government, non-profit and a leading socio-spiritual organization, Head and Founded by His Holiness Ashutosh Maharaj Ji, organized an event of Monthly Spiritual Congregation on May 7th, 2017 at Divya Dham Ashram, New Delhi. Preachers took the opportunity to share the wise and divine words which ignited the dormant fire of divinity in order to actuate the disciples to keep moving forward on the path of truth. Life is all about the choices we make and decisions we take through all different stages. Different circumstances directly or indirectly give us different options and we often find ourselves incapable of choosing as we do not know which option is the best for us right at that moment. All answers lies in Spirituality. Disciples bestowed with Divine Knowledge are not only aware of the purpose of life but also find they are capable enough to use wisdom. Studying books and scriptures can only increase the ken but practical experiencing of the nature of one’s soul and life adds value to that knowledge which often inspires disciple to perform all actions remaining connected to the soul. The event commenced with holy prayers at the lotus feet of Sri Gurudev. The bhajans and devotional songs enriched the audience with the spiritual knowledge and charged them up with all positive energies needed to tread the path. Preachers and disciples shared their invaluable divine experiences which they experienced during the depth of meditation and shared the divine messages of Shri Ashutosh Maharaj Ji. 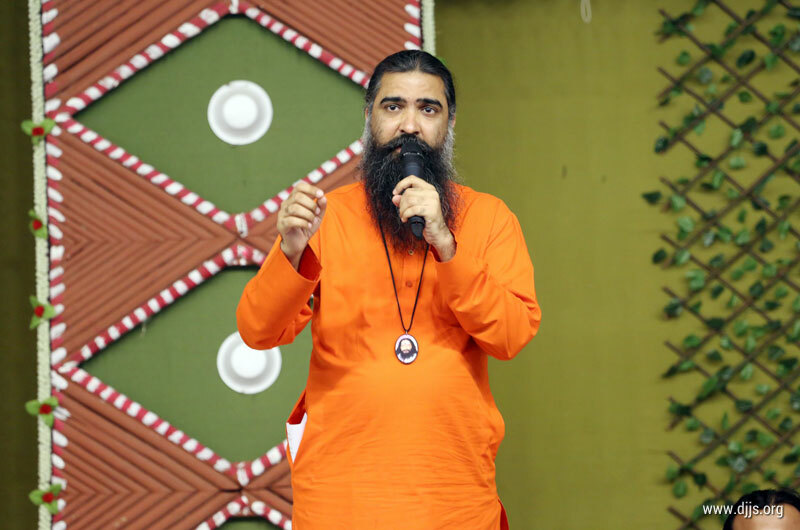 Thousands of devotees shared their inspirational incidents of life, their ardent desire to walk on the path of truth and how to spread the message of truth to nooks and corners of the world. How He remains connected with His disciples is His Divine Will, but His Omniscient Power brightens the path for each and every dedicated devotee unfailingly. He showers His benign grace on them at all times. He enlightens their dormant spirits and keeps them awake until the goal is achieved. Event of Monthly Spiritual Congregation serves the purpose as it aims for igniting that latent divine fire with the discipline of meditation, based on Divine Knowledge which possesses the power of directing all disciples towards unison goal.